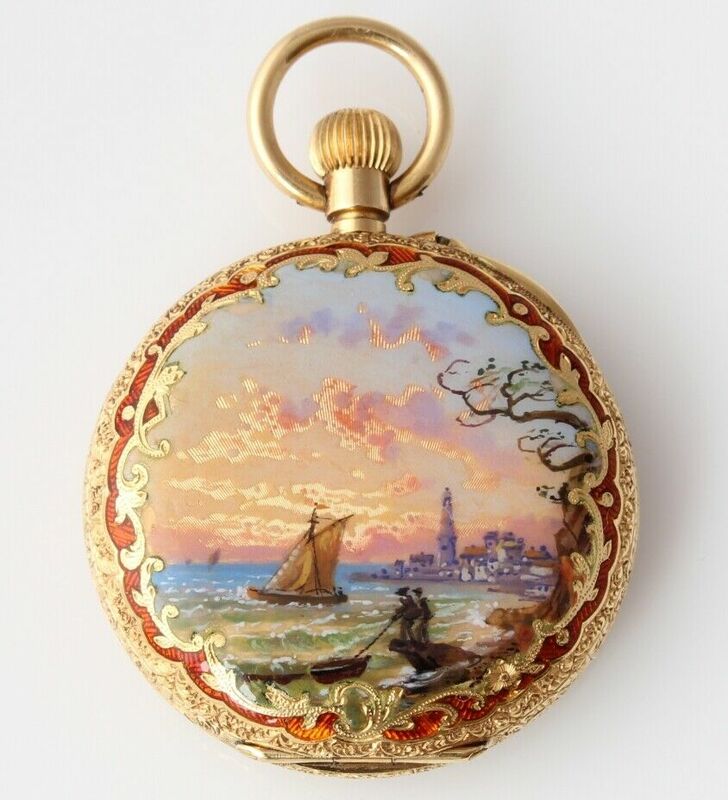 This fabulous and elegant Swiss antique ladies fob watch dates from c1890, is made of fully hallmarked 18 ct gold and is wonderfully decorated with a beautiful enamel of a lake and boating scene to the back and a red enamel scrolling border. 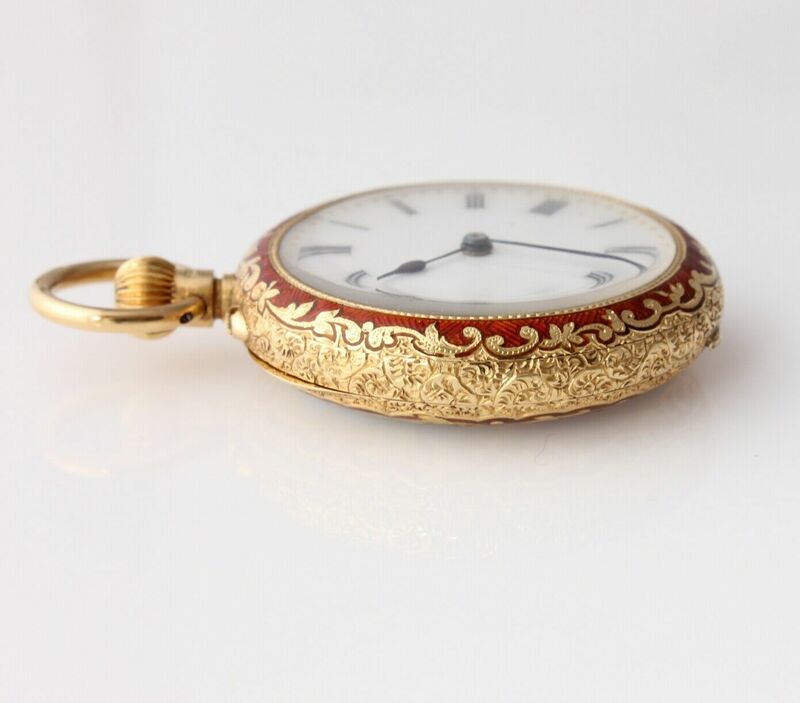 This is a superb quality piece of jewellery that has beautiful enamelling and a Swiss movement which is fully functioning. 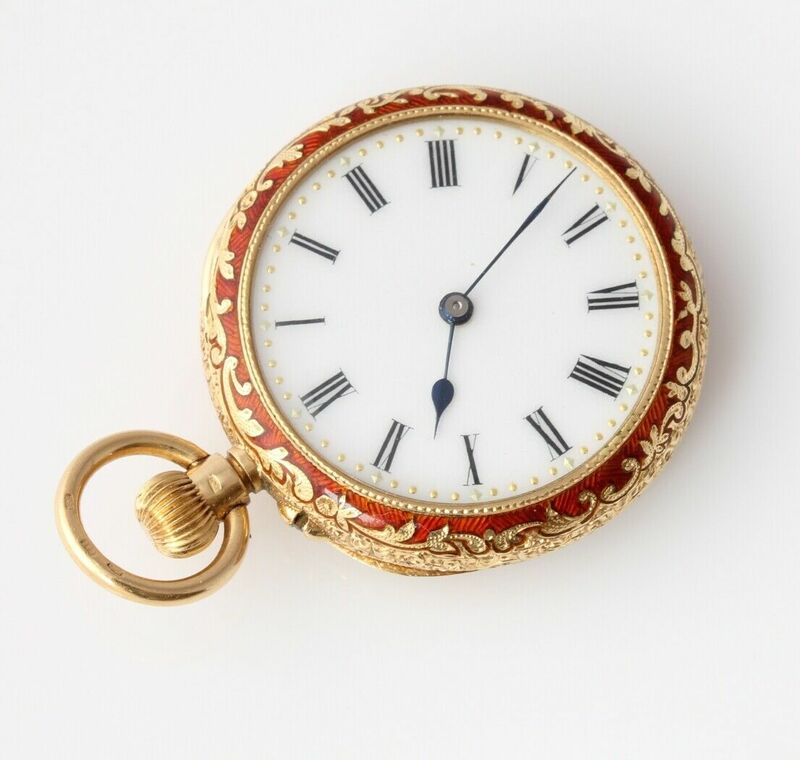 This stunning watch would make an excellent addition to a watch collection and would make a very special gift. Materials: 18 ct gold. Enamel. Size: Height: 4.4 cm - 2 5/8". Width: 3.2 cm - 1 1/4" approx. 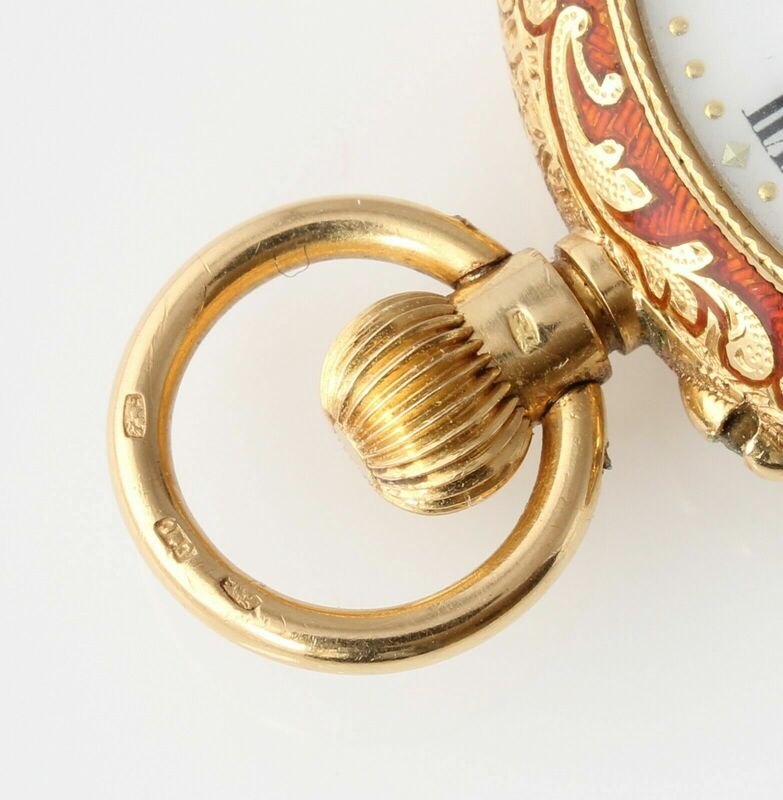 Hallmarks: Swiss hallmarks with 3 Heads of Helvetia and 18c for 18 carat gold on both the inside of the watch case and the inner case cover. Also hallmarked to the top ring and edge. Condition: Fabulous antique condition. 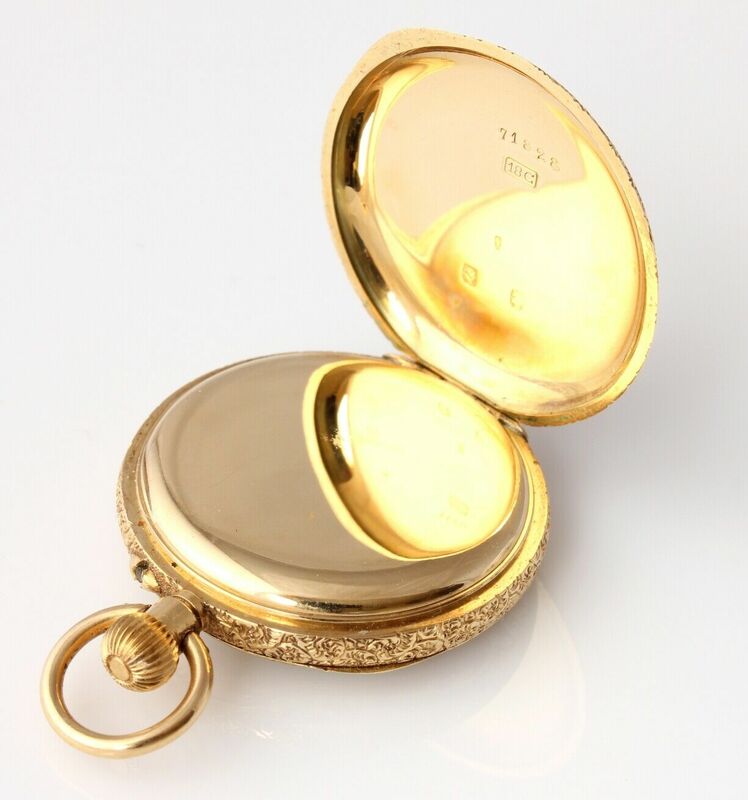 Dial and case in excellent condition. 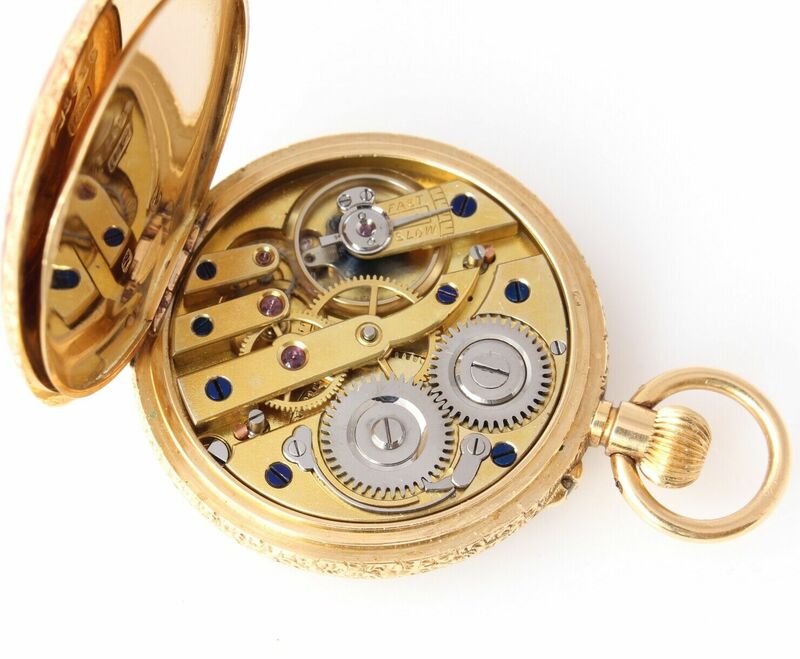 Movement is fully functioning and in stunning condition. Fully hallmarked. Comes in a box. Please see pictures.